Yulia Zaripova will be stripped of her 3,000 metres steeplechase Olympic title after being handed a backdated two-year suspension for doping today, while 2011 world heptathlon champion Tatyana Chernova has received a similar ban after failing for anabolic steroids. The Russian Anti-Doping Agency (RUSADA) confirmed today that both Chernova and Zaripova are serving backdated bans, with both having already been stripped of results for specific time frames. Zaripova has been handed a ban totalling two years and six months from July 25, 2013, while her results from the periods between June 20 and August 20, 2011, and July 3 until September 3, 2012, have been annulled. This period does not include her 2011 World Championship victory in Daegu on August 30, 2011, but does include her Olympic triumph on August 6, 2012. Silver medallist Habiba Ghribi of Tunisia is now set to be promoted to London 2012 gold, while Ethiopia's Sofia Assefa and Kenya's Milcah Chemos could move up to silver and bronze. The IAAF had announced last Saturday (January 24) that it was investigating Zaripova due to irregularities in her biological passport reading. Chernova, meanwhile, the Beijing 2008 and London 2012 bronze medallist, has a ban backdated from July 22, 2013. She had a sample from the 2009 World Championships in Berlin retested in 2013 following a request by the International Association of Athletics Federations (IAAF). The 27-year-old tested positive for the banned anabolic steroid Oral Turinabol, the key drug administered to approximately 10,000 athletes from East Germany during that country's systematic doping programme. All of Chernova's results recorded between August 15, 2009, and August 14, 2011, have been wiped from the record books. But, her World Championship victory over Great Britain's Jessica Ennis in Daegu, which came shortly after that period on August 30, 2011, has been allowed to remain. Calls for her to be stripped of that title have already started, led by Britain's Kelly Sotherton, the Briton who finished fourth, one place behind Chernova, at Beijing 2008. She wrote on Twitter: "Chernova banned! IAAF need to test Beijing 2008. @J_Ennis should be world 2011 champion too. Doping is horrible when you are effected by it." 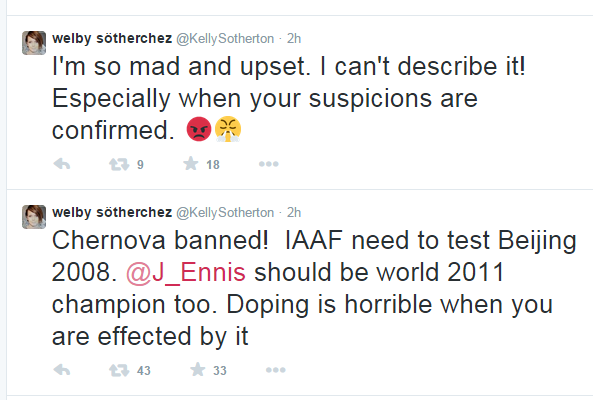 Sotherton later Tweeted: "I'm so mad and upset, I can't describe it. Especially when your suspicions are confirmed." But the IAAF said they will investigate the two cases before making any decisions. "None of these are closed cases, and the IAAF will not comment until we have received the full reasoned decisions in English from RUSADA," an IAAF spokesman told insidethegames. 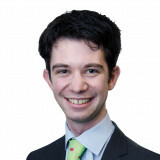 "It is normal that it takes time to receive such documentation. "As you'll understand these are legal cases governed by IAAF rules which are in accordance with WADA (World Anti-Doping Agency). "As such the details have to be meticulously translated to ensure they are correct. "Furthermore, when the full reasoned decisions in English are received, the IAAF has then to closely judge those decisions. "As such, there will be no immediate response from the IAAF and we will have 45 days to appeal each case." The news emerged only hours after Russian Sports Minister Vitaly Mutko claimed the country remains among the top five countries regarding the fight against doping, and that any athlete who cheats will be exposed. It is nevertheless a another major blackmark on Russia's already appalling record, with Olympic champion race-walkers Sergei Kirdyapkin, Olga Kaniskina and Sergei Bakulin having all been handed similar bans earlier this month. Last month a German television documentary on ARD alleged systematic doping in Russian athletics, suggesting as many as 99 per cent of the Russian athletics team could be implicated, with the All-Russian Athletics Federation (ARAF) reportedly planning to file two lawsuits in response to the allegations. Following today's announcements, ARAF President Valentin Balakhnichev revealed he could submit his resignation at a Board meeting on February 17, also insisting to ITAR TASS there will now be no more doping scandals involving Russian athletes in the near future. "We can say that we have turned this page in the history of Russian athletics," said Balakhnichev.